Dec. 13, 2016 — San Diego, CA — A district judge in New Mexico has remanded another Essure case back to state court after Bayer Healthcare removed it to federal court in September. The judge’s decision came down in an order issued Nov. 9. This is one of four Essure lawsuits to be sent back to state court in recent months after Bayer tried unsuccessfully to remove them. But unlike the other Essure lawsuits, which claim Bayer failed to adequately warn about the potential risks of Essure and misrepresented the device’s safety and efficacy through its advertising, this lawsuit alleges medical malpractice and negligence violations. Danielle Romero and her husband Obed first filed their Essure lawsuit in July 2016 against the doctor who implanted the device, the clinic where the doctor works, as well as Bayer Healthcare and an unidentified Bayer representative. In her complaint, Romero said her doctor and a Bayer representative misread the x-ray that was used to determine if Essure was properly placed and could be used as birth control. 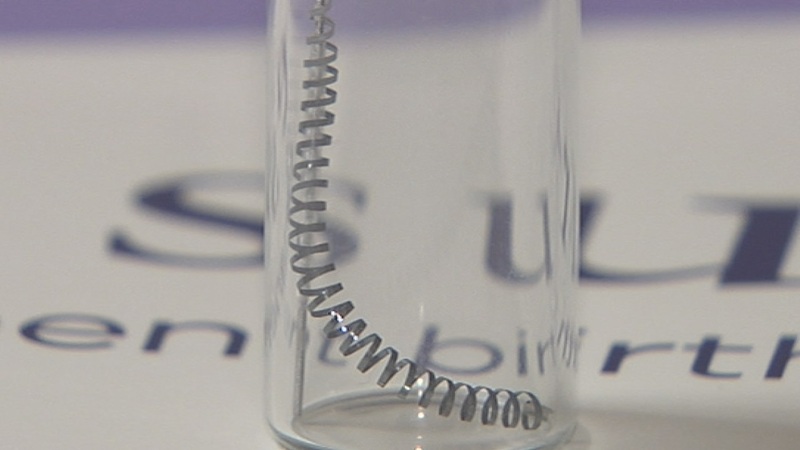 Essure is made of two metal coils that fit in a woman’s fallopian tubes. The coils cause scar tissue to grow around them and block sperm from entering the tube, but the process can take up to a few months and women must return for a follow-up exam to make sure the tubes are actually blocked. Romero was implanted with Essure in 2013, the year after her fourth child was born. When Romero returned for her follow-up x-ray a few months later, she said the radiologist told her one of the Essure coils looked to be out of place. But when Romero went to discuss the results with her doctor, she said her doctor and a Bayer representative had reviewed the x-ray and assured her the devices were properly placed. In 2014, Romero gave birth to her fifth child. Romero’s lawsuit alleged medical malpractice on the part of her doctor and clinic, as well as negligence and negligent misrepresentation on the part of her doctor and the Bayer Healthcare representative. In her suit, Romero accused her doctor and Bayer of hiding the incorrect placement of her Essure device and claimed the failure of her device caused disastrous injury. Bayer Healthcare remanded Romero’s suit to the District of New Mexico in September and filed a motion to dismiss shortly thereafter. Bayer argued Romero’s suit raised federal questions and should be removed to federal court as a result. Specifically, Bayer said in order for Romero to prove her negligence claims, she would have to prove that Bayer made allegations about Essure that differed from federal labeling requirements, which are preempted by federal law. Bayer contended that because the Essure label provides information about the follow-up exam and whether Essure is properly placed, Romero’s suit touches on federal issues. U.S. District Judge William P. Johnson reminded Bayer, however, that the mere presence of a federal issue in a case does not mean the issue is “substantial” enough to take it out of state court. The judge made it clear that Romero’s lawsuit was based on state law claims and that only Bayer’s proposed defense actually raised questions of federal law. Judge Johnson also found that the balance between state and federal powers would be affected if the lawsuits were to be removed to his district court. The lawsuit was remanded back to Dona Ana County court in New Mexico on Nov. 10, and Bayer’s motion to dismiss was denied as moot. The case is Romero et al v. Castillo, MD et al (2:16-cv-01005) in the U.S. District Court for the District of New Mexico. In addition to this case, federal judges in Missouri, Illinois, Philadelphia and Idaho, as well as a state court judge in California’s Alameda County, have allowed Essure lawsuits to proceed on one or more claims against Bayer Healthcare, including allegations the company failed to adequately warn about the potential risks of Essure and misrepresented the device’s safety and efficacy through ads not approved by the FDA.